Coffee enthusiasts, take note. 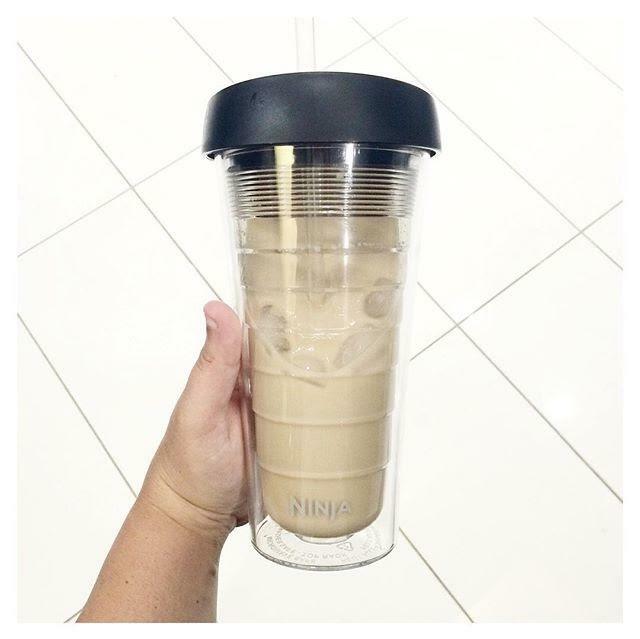 If you love espresso, cappuccino, lattes, iced coffee, mochas; anything coffee related… the Ninja Coffee Bar may be your answer to a well-caffeinated morning. There are TONS of different coffee machines on the market, so it’s totally acceptable to be picky when choosing one, after all coffee is a daily must for most of us, so why wouldn’t you be!?! I’ve tried several other machines (Gaggia manual espresso machine, Nespresso, Keurig, moka pot, french press) and am by far most impressed with the versatility of the Ninja Coffee Bar. When you actually think about how much money is wasted (yes, wasted!) at places like Starbucks, Dunkin Donuts, random coffee shops, etc. – it adds up really fast. Many of these sub par specialty coffee drinks cost around $5/each, and the quality and consistency can vary depending on location… no thanks! This machine comes with a recipe book with so many interesting coffee creations from classic & rich, iced, frozen to cocktail coffee recipes. To name a few: salted caramel coffee, frozen mudslide, iced lavender latte and bourbon spiked pumpkin latte. Adios coffee shop, hello coffee bar at-home! For the average coffee drinker, Ninja offers some pretty impressive functions for what is essentially an auto-drip coffee maker. Sofia Vergara took part in collaboration with Ninja to create a machine that offers smooth, rich, full bodied coffee similar to what she grew up enjoying in Columbia AKA one of the top coffee producing countries in the world. In short, this machine allows you to make a vast variety of unique coffee creations and is basically fool-proof whether you’re an experienced coffee expert or just an exhausted mom in need of caffeine. I’m totally sold.